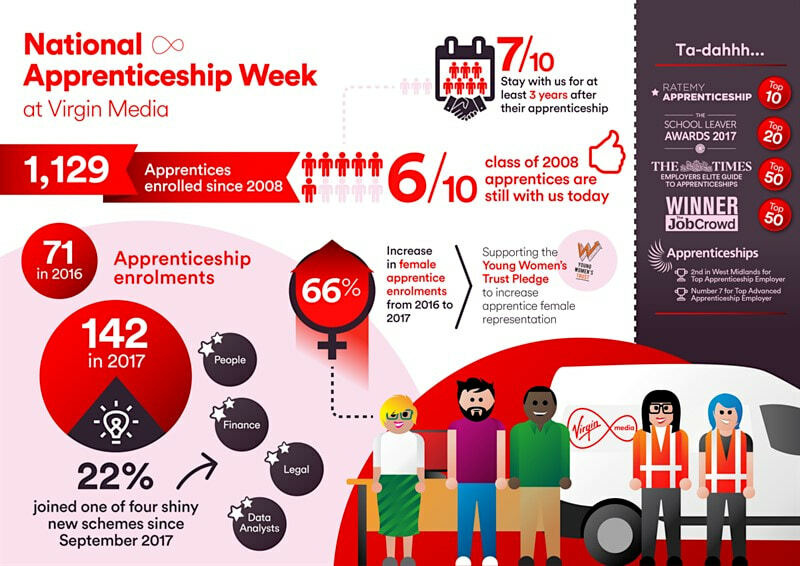 To celebrate 10 years of its apprenticeship programme and to mark National Apprenticeship Week 2018 , Virgin Media has become the first UK private business to run a part-time apprenticeship scheme. he scheme is part of Virgin Media’s drive to make apprenticeships more inclusive and diverse than ever before. Since the inception of the programme 839 apprenticeships have been completed by Virgin Media employees. The move will result in Virgin Media investing up to £4 million in apprenticeships, as they aim to improve workplace diversity by attracting the broadest range of talent possible to the business and industry as a whole. "It’s fantastic to see firms like Virgin Media investing in new high-quality apprenticeships. This new part-time apprenticeship will make it even easier for people training on the job and will help develop the digital skills our economy urgently needs," commented the Rt Hon Anne Milton MP, Minister for Apprenticeships & Skills as she welcomed the announcement. Since 2016 Virgin Media has been working with the Young Women’s Trust, in their role as the first technology company to sign a pledge committing themselves to increasing female representation across apprenticeships. In the year following the signing of the pledge Virgin Media were able to increase female enrolments by 66 per cent. "On the job learning works for everyone," explained Catherine Lynch, Chief People Officer, Virgin Media. 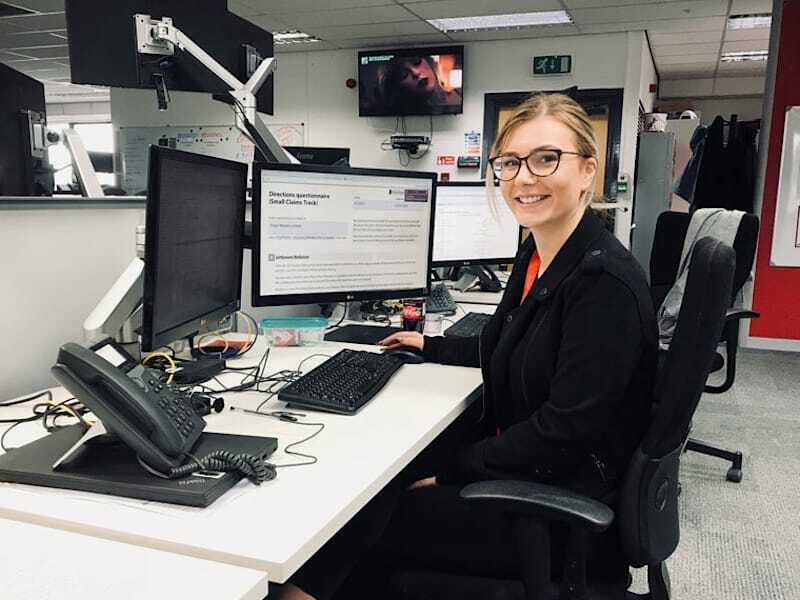 "Our flexible and diverse apprenticeships are helping jump-start careers across Virgin Media from aspiring field-technicians right through to finance gurus. There has never been a better time to join our team." To find out more, head over to the Virgin Media website to read up on their approach to apprenticeships and their range of schemes.